Belvedere Designs: June 2016 Customer Photo Winner! 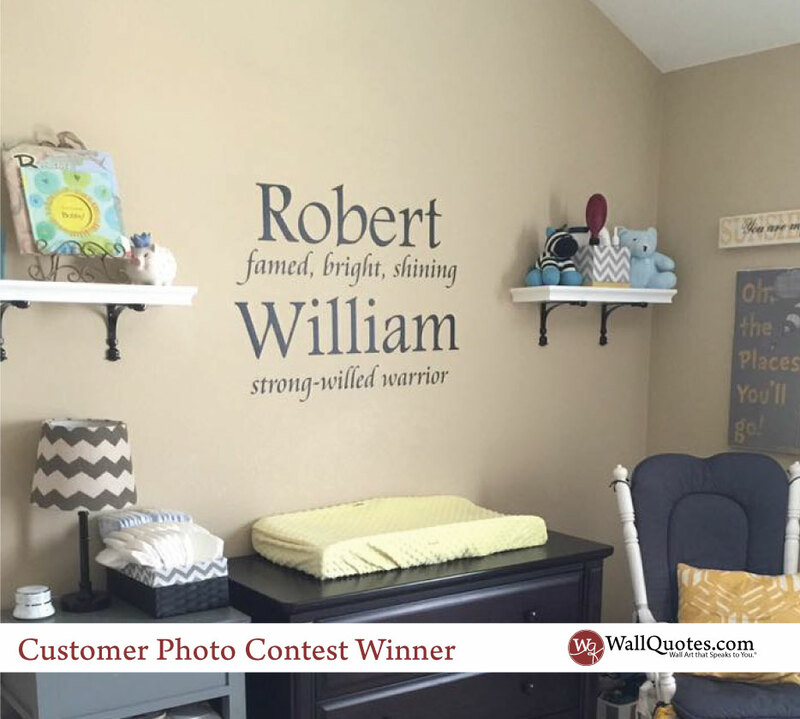 June 2016 Customer Photo Winner! We've got another Nursery photo for you this month! We received this photo from Erin who wanted a custom design for her baby's first and middle name with the definitions. I think this is such a sweet customization! Erin says: "I'm really thrilled with how this has turned out and I can't thank you enough for all your design advice." Remember you can contact us at info@wallquotes.com with your custom idea and we will make it happen! Our designers are ready to make your ideas come to life.